Be Known for Something : Discover Your Church Communication Thread / Business Essentials / SEO is a waste of money without this key topic. It seems that I get spam through my email, our web contact form, and this blog every couple of days. It’s annoying! The subject often is SEO. They promise to raise our Google standings and get our website closer to the top of all search results. They promise a quick pill. And an expensive pill. Don’t ever reply to them! 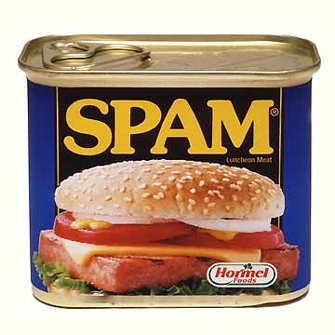 It’s pure spam and possibly a waste of your money. Delete. Delete. Delete. Search Engine Optimization (SEO) is a process, not a fast solution. Ever. It’s a combination of many things that have to lineup in order to have Google, Bing, Yahoo, etc. refer your site in their organic (non-paid) listing of search results. We’ve talked about it in the recent past on our sister blog for churches. Click here for a review. An engaging, informative, authentic website that has content directed at a specific, targeted market. Clearly defined themes, keywords, metatags that quickly and easily identify the content of your pages. And your pages actually have to use these words or concepts to become a “genuine” site. Lots of friends. Yes, you need other websites that point (or link) to your site. If other websites don’t think you offer the content people are looking for, why would you expect Google to refer your website? Do you hear the thread that encapsulates all three of these points? It’s the content. And that content has to be well-done, presented well, and engaging an audience in order to have people interested. These spam companies that are trying to get you to buy their services are adding bells and whistles to your site, suggesting high-priced paid services and ultimately ignoring the root of the problem. Your content. PinPoint is a branding agency committed to developing (or helping you develop) the best content for your targeted audience. It’s all part of brand development. Not an easy process, but an essential process that will strengthen your company and direct more people to buying your products and services. Why not start today!